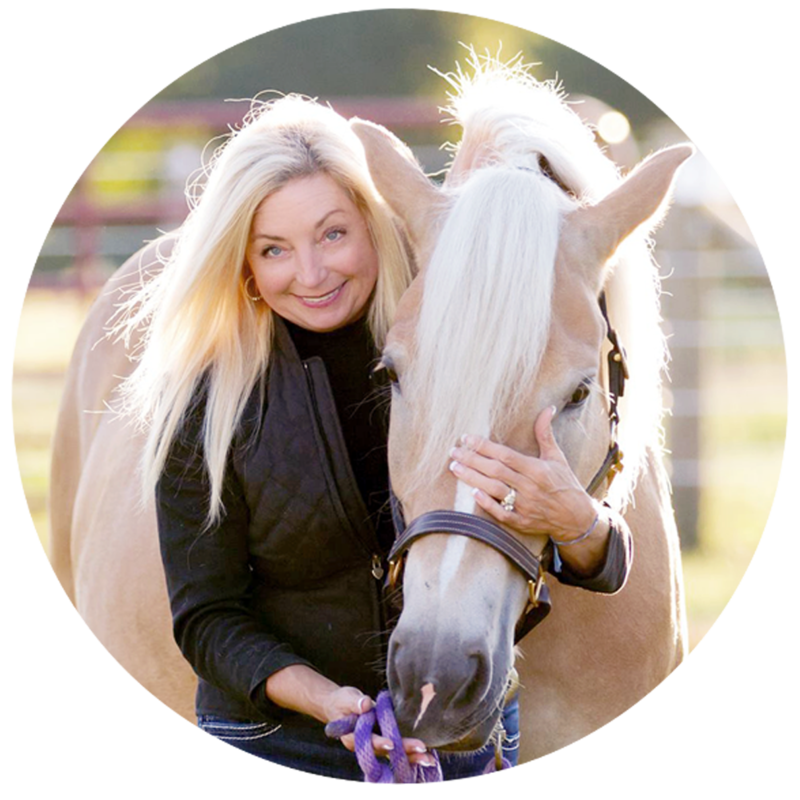 Keeping horse(s) safe and healthy is a top priority for most owners. We do our best to ensure pastures are free from objects that could cause harm. We bring our horses in the barn during bad weather. And we haul them to the vet when they show the first signs of injury or illness. 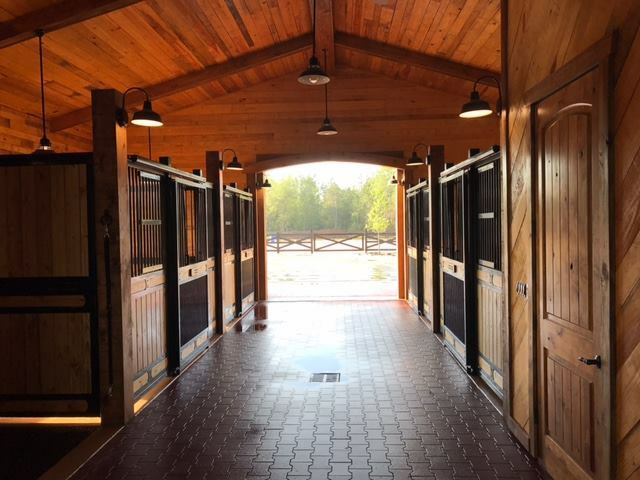 But could hidden dangers be lurking inside the place where you think your horse is safest—inside his stall? Unfortunately, some stalls are not as safe as they could be. Perhaps the most commonly overlooked safety issue is the material your stalls are made of. 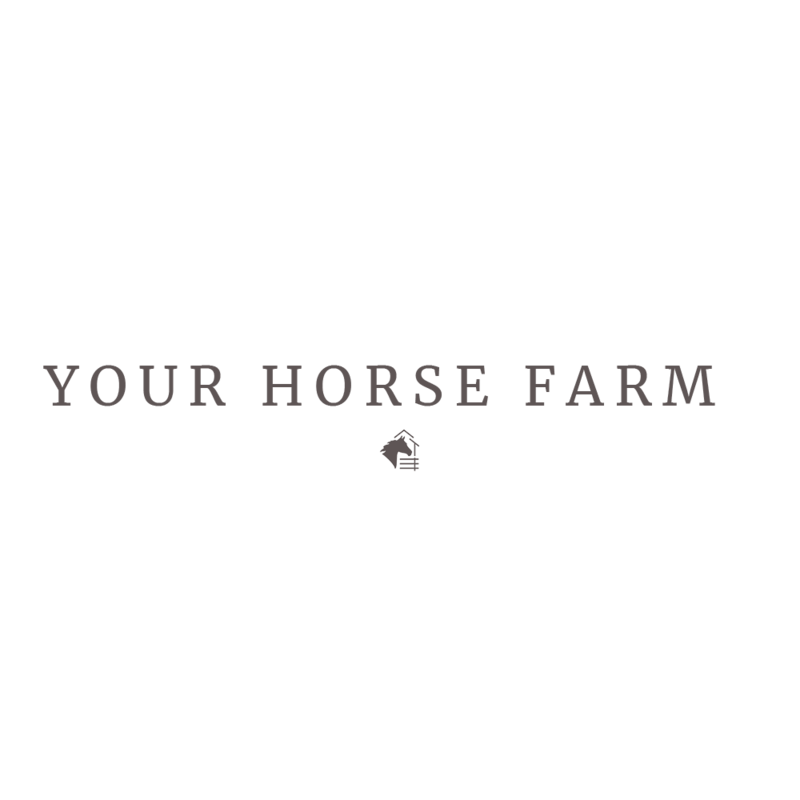 Metal walls can be especially dangerous since a horse can kick through the metal and receive serious injuries. Stalls should always be made of wood or another kick-proof material to prevent this from happening. Another potential hazard is metal partition bars set too far apart, allowing a horse to get his head stuck between them or possibly a hoof or leg through. 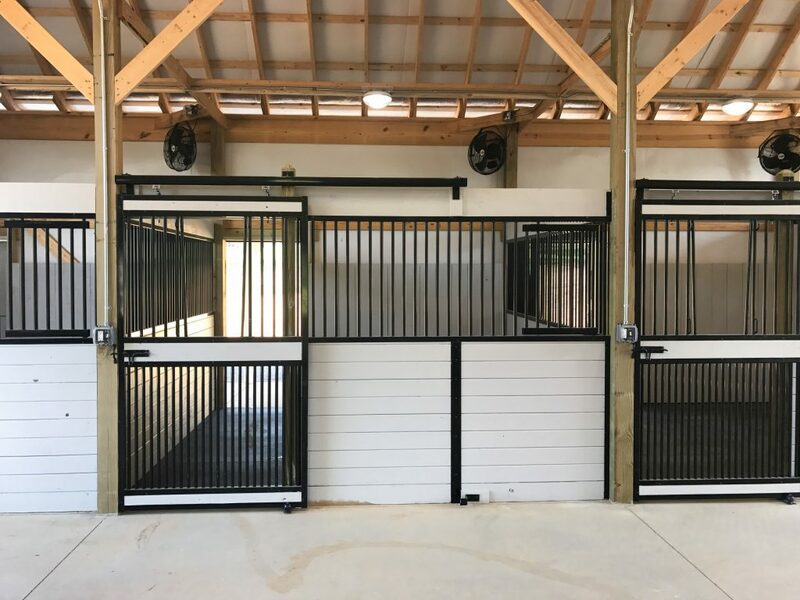 Choosing pre-fabricated stalls such as our Dublin Portable Panels is a safer option as the bars are set 3 1/4 inches apart and therefore don’t allow room for this to occur. 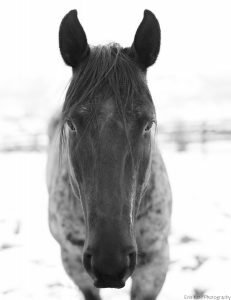 A third source of danger comes from protruding latches that a horse could catch a halter or blanket on (though it’s generally recommended that you don’t keep a halter on horses in stalls/pasture). 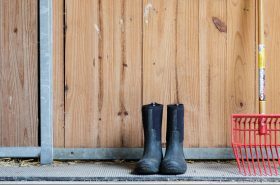 Likewise, having high-quality or foolproof stall latches such as our Locking Style Horseshoe Latch will ensure your horse doesn’t inadvertently escape from his stall and get into the feed bin. You may not think about dust/ammonia being a safety hazard, but they are both quite harmful to horses’ lungs. Keeping windows or barn doors open can help with ventilation, as can using stall fans such as our 18” Basket Fan. Of course, keeping stalls clean and allowing plenty of turn-out time is your best bet. Read more about barn fan safety here. If you haven’t already, examine your stalls through your horse’s point-of-view in order to locate safety hazards that might need attention. And feel free to share any other ideas for keeping stalls safe in the comment section!